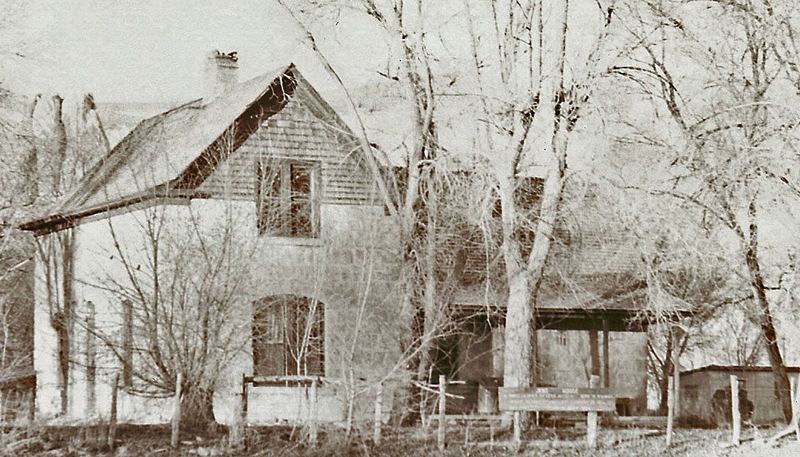 The Lovace house is believed to have looked like this home which belonged to Jens and Kirsten Nielson. The home was destroyed by fire and partially rebuilt. 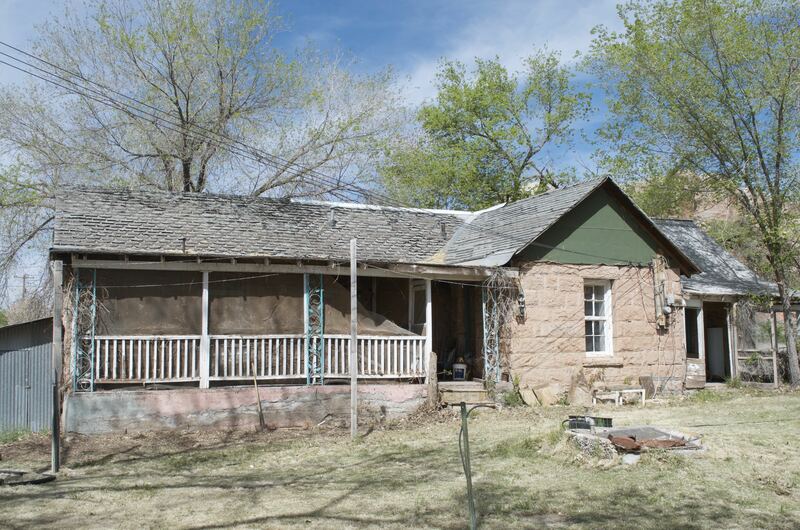 Lovace is said to have built houses in nearby McElmo Canyon in Colorado. Little is known about the history of this man, although a few things are known. He was a stone mason, and that he was not a member of the original Hole-in-the-Rock group. An older resident recalls that folks in Bluff spoke of Lovace when the resident was a child. It is said that Bluff pioneers knew nothing of stone masonry before Lovace. This house formerly was a two story house and probably looked much like the Jens and Kirsten Nielson house. It was rebuilt in its present form after a fire destroyed the second story. The Lovace house is on the northeast end of Bluff. It was not included in the original Bluff townsite. It was built on a larger lot than any of the other houses in Bluff. The house is surround with lilacs, wild roses, Fremont cottonwoods, weeping willows, and silver maples, which all add to its beauty. Recent owners have kept these plants alive to maintain a historic feel about the house.